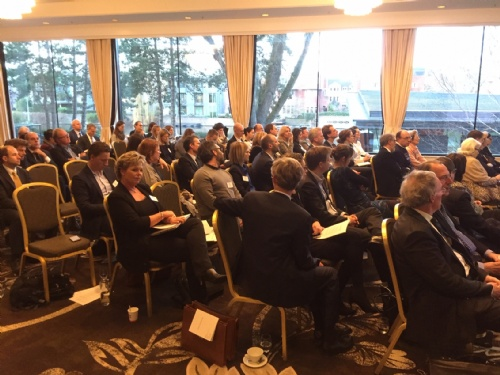 About 80 people attended the Meeting, which took place at the Hilton Amsterdam. The day was divided into six sessions, four of which addressed particular topics in EU IP law and two of which were round table discussions. In the first session, Judge Anne Ekblom-Worlund of the Market Court, Finland and Prof Dr Alexander von Mühlendahl talked about jurisdiction issues in EU trade mark law. In particular, they discussed what happens when there are two or more cases pending in the same dispute, and where there is a choice of jurisdictions. Judge Anne Ekblom-Worlund described one case in Finland, involving the ALCO mark, where the jurisdiction of the Finnish courts had been questioned. Prof Dr Alexander von Mühlendahl referred to jurisprudence from EU and national courts on jurisdiction, including the Wintersteiger (C-523/10) and Nintendo (C-24 & 25/16) cases at the CJEU, the German Parfummarken case (I ZR 164/16) and the AMS Neve case (C-172/18), which was argued at the CJEU in January this year. The presentations led to a lively discussion about the extent to which forum shopping exists, and whether it should be allowed or encouraged, in EU trade mark and design disputes. The second session featured a presentation from Phillipp von Kapff of the EUIPO First Board of Appeal. He described the Boards of Appeal as being at the “crossroads” of case law, and highlighted the challenges that the Boards face, including the need to understand national law and the limitations posed by the parties’ evidence. His presentation focused on four topics: (1) playing with the systems; (2) public interest and scope of protection of the earlier mark; (3) equal treatment and coherence; and (4) clarity of the Register. 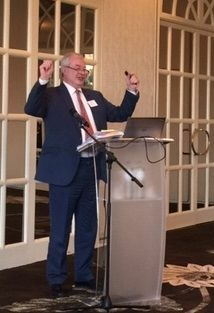 The subject of complex marks and those with weak/non-distinctive components was the subject of the fourth session, which was jointly presented by Prof Dr Joachim Bornkamm from Germany and Geoffrey Hobbs, QC of One Essex Court in the UK. Geoffrey Hobbs gave a paper asking “How close is too close?” and argued that a clear conception of what is similar and distinctive is lacking. He reviewed judgments including those in the Adidas (C-102/07), KOMPRESSOR (C-43/15P) and XKING (C-84/16) cases and highlighted a number of questions that they raise. In his presentation, Prof Dr Joachim Bornkamm focused on the concept of dominance: which elements of a mark dominate the impression? He suggested that there is a “clear contradiction” between the approach of the German courts and the CJEU in this area. The fifth session represented a change of pace, as Femke van Horen, Associate Professor Marketing Department at Vrije Universiteit Amsterdam, invited the audience to complete a questionnaire on similarity in branding. This was followed by a presentation on the psychological process behind product imitation and copycats, in which Femke argued that more subtle imitations are in fact more effective copycats compared to blatant imitations: consumers are more likely to accept moderate similarity. The presentation was a development of her speech at the MARQUES Annual Conference last year. Sessions three and six were the round table discussions. In the former, Octavia Spineanu-Matei of the EU General Court and Sven Stürmann of the Second Board of Appeal provided an insight into how their forums work. The need for coherence was a theme of both speakers. 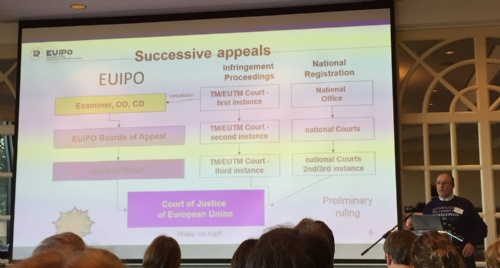 Sven Stürmann pointed out that, given that there are about 30,000 Board of Appeal decisions, as well as some 3,500 from the EU General Court and CJEU and thousands more national judgments, it is not always easy to find relevant case law – though AI tools are likely to help. In the meantime, initiatives such as CP12 “Evidence in Appeal Proceedings” (which was approved in November), active case management (including using oral hearings, the Grand Board and sending cases back to the examiner) and quality management (including a coherence and consistency project) are helping to address consistency at the Boards. Octavia Spineanu-Matei said that 301 IP cases were filed at the General Court in 2018, and consistency is a greater challenge especially with new judges being added. She also provided a helpful review of case law, identifying which issues are matters of fact (which the General Court has final jurisdiction over) and which are matters of law (which it does not). The final round table featured Judge Eleonora Viegas from Portugal, David Stone, who is a Deputy High Court Judge in England & Wales and Els Herregodts of the Court of Appeals Brussels. They took part in a Q&A on topics such as the importance of CJEU rulings, the protection of word and non-traditional trade marks, evidence including surveys and remedies (including reimbursement of costs). The moderators of the panels were Claus Eckhartt of Bardehle Pagenberg, Carles Prat of Baker McKenzie, Philippe Péters of NautaDutilh, Shane Smyth of FRKelly and Gregor Vos of Brinkhof. Chair of the MARQUES Council Gregor Versondert opened and closed the Meeting, which was followed by networking over drinks in the hotel. Anyone who attended the Meeting can access the presentations here (log in required). This article is extracted from the latest issue of the HouseMARQUES newsletter. Read the newsletter in full here.